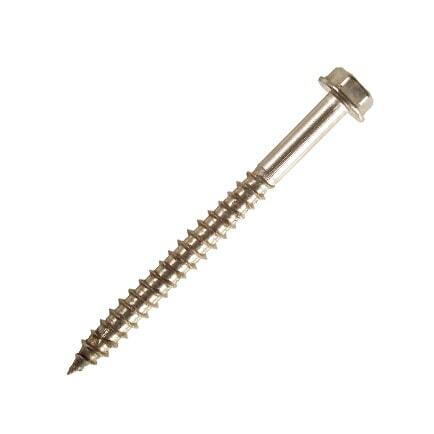 Our structural screws are perfect for any commercial or domestic timber structure projects and are designed to give a professional finish for standard UK timber sizes. As the UK’s original self-drilling screw supplier, we know what carpenters and tradesmen need to get the job done quickly and efficiently. 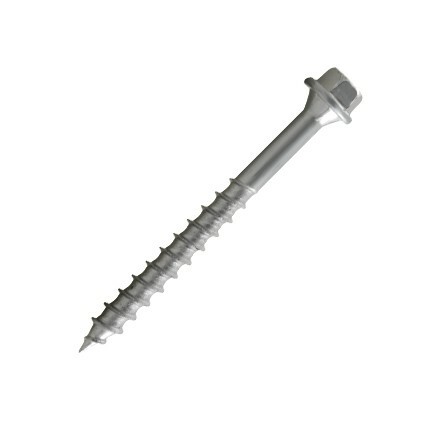 Our screws have been used in a range of structural projects, making loft conversions, decking and roofing projects quicker and easier than ever before. The Carpenters Mate range is the go-to range for professional tradespeople looking for dependable, efficient structural timber screws that have been tried and tested in the laboratory and on-site. We supply a wide range of screws designed to take on the most challenging structural timber-to-timber applications, ranging from Pro Hex head screws, HD Hex head screws, Flat head screws, and 316 Stainless Steel Hex head screws. If you're looking for fasteners that are to be used in a corrosive environment, the 316 stainless steel screws are perfect for the job. They are made from 316 stainless steel, which is designed to take on the most corrosive and abrasive of timbers and environments. Our structural screws benefit from our own in-depth industry knowledge and every screw in our range has been designed for specific applications. We source the best materials for the manufacture of our screws and pay particular attention to the detail including the design of the tooling, the heat treatment techniques used to harden the outer surface and the corrosion-resistant coating. The strong properties of our heat treated carbon steels increase the durability of the manufactured screw and help to prevent any shearing. 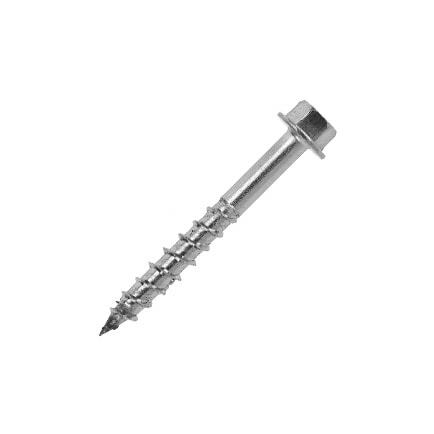 Available in various lengths and sizes, our self-drilling screws are designed to increase the efficiency of your project by reducing the time it takes to install each screw. Our structural screws have been known to help teams connect structures at least 5 times faster than using traditional nuts and bolts. View our video demonstration below. Furthermore, our structural screws are head stamped with key information so that structural engineers and buildings inspectors can identify the brand and length of screw when installed in a timber joint. 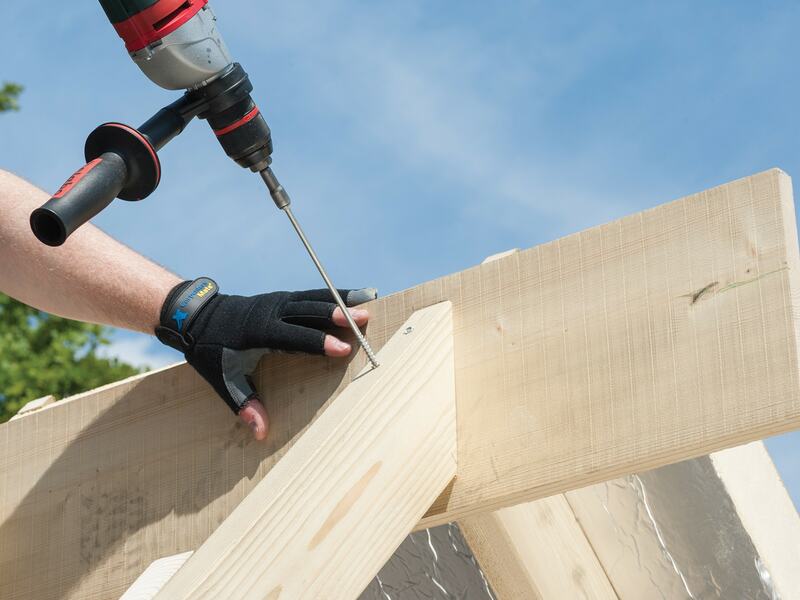 Since the Carpenters Mate structural wood screws are ‘innovated by carpenters for carpenters’ our products will not let you down when using them in your timber structure. 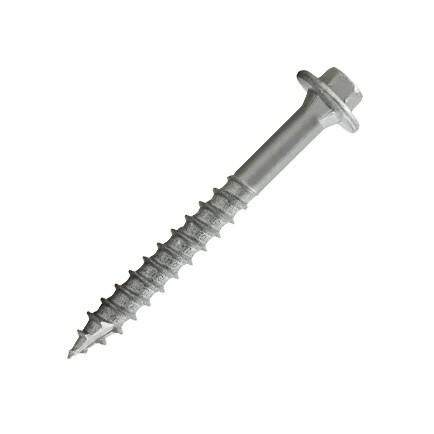 You’ll find that our screws are designed to be efficient in every way and are very easy to install for the perfect wood-to-wood connection. All of our Carpenters Mate structural screw packages are supplied with the relevant drive tool to complete your project however you can buy additional drive tools from a distributor near you. You can also grab additional accessories such as part fingerless gloves to prevent adverse weather conditions from affecting your ability to work; as well as the adjustable post support anchors and other key componets that make your work a lot easier. Do you need to know the number of screws required for your timber-to-timber connection? Our Calcumate app removes the guesswork and calculates the exact number of screws needed for any given joint in your project. The Calcumate app is an accurate multiple member screw spacing calculator which is algorithmically tailored to calculate how many Carpenters Mate screws are needed. Visit the CalcuMate site to find out more.